This was a colorful and fun puzzle to do. 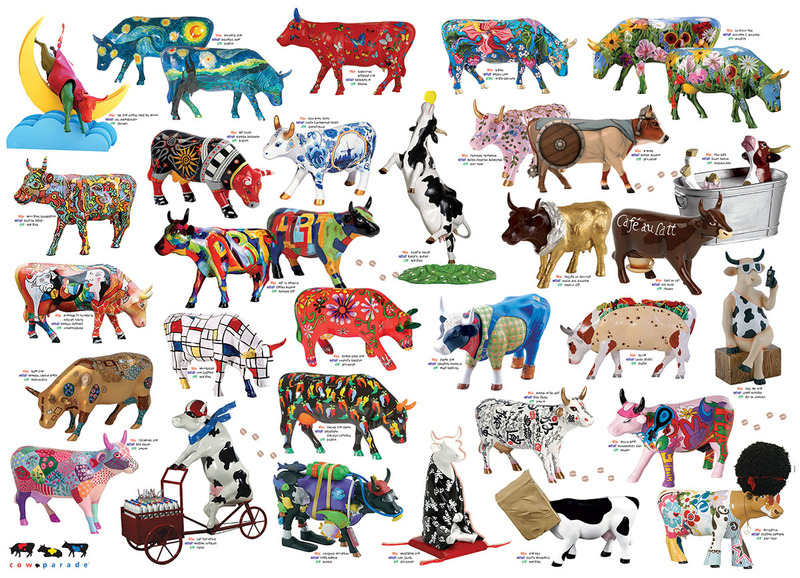 It was interesting to look at each cow, once the puzzle was completed. This was a hoot! Be sure to take a good look at the completed images - there are lots of interesting details. Definitely fun to assemble.